Order yours online from ServiceArizona.com. The initial cost is $25. 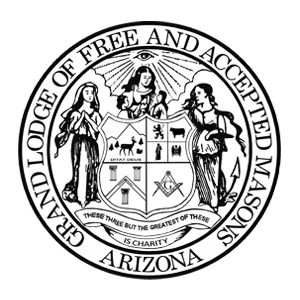 Almost 70% ($17) of the fee goes to charities supported by Arizona Masons. ServiceArizona.com is an easy way to order your Masonic Fraternity Personalized/Specialty License Plate. Order Online Now . ServiceArizona.com is the authorized service website for the Arizona Department of Transportation Motor Vehicle Division. Those who prefer to order by postal mail can download the order form. Order Form .